This Wrangler Riggs Men's Khaki 3W501 KH Cotton Twill Long Sleeve Work Shirt delivers a smart yet rugged professional look that's well-suited to tackle the tough jobs you do every day. It's ideal for work and terrific for casual wear, too. This quality Riggs Wor ... (see full details) (see specifications) #WRG3W501KH. This Wrangler Riggs Men's Khaki 3W501 KH Cotton Twill Long Sleeve Work Shirt delivers a smart yet rugged professional look that's well-suited to tackle the tough jobs you do every day. It's ideal for work and terrific for casual wear, too. This quality Riggs Workwear shirt is constructed of 7-ounce 100% cotton twill. It delivers the natural, breathability of cotton in a durable twill weave. The fabric has a velvety soft peached finish and has been garment washed for softness. This shirt wears tough and also feels great against your skin. The exclusive Room2Move® fit provides flexibility and extension, thanks to the relaxed fit and side gussets that give you plenty of moving room. The straight back yoke adds to the comfortable fit. Count on this versatile top to work with you when you bend, stretch, and twist instead of fighting you at every move. For a professional look that's also easy to wear, this long-sleeve style has a button front and button-down collar, as well as two-button adjustable cuffs -- for plenty of room when you need to roll up your sleeves. For convenience, two front chest pockets include a button closure and a hidden utility loop. This Wrangler Riggs Men's Khaki 3W501 KH Cotton Twill Long Sleeve Work Shirt has just about everything you need for comfortable wear and a put-together look. Available in multiple colors, so you can wear your favorite workwear often in different colors. Order yours from Working Person's Store today! Bought one to check it out. Has button pockets with no flap, which works better for me. Also, has a loop sewn inside the left pocket for clipping your pen. Very comfortable fabric, slimmer cut, great shirt. Just ordered four more. This is a soft feeling, somewhat warm shirt of medium weight but very tuff. I've found it great for winter work, and it realy does provide excellent freedom of movement. 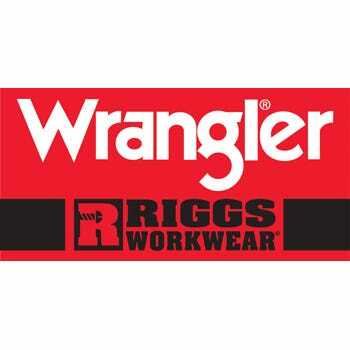 The Wrangler Rigg shirts are absolutely perfect for work! They provide a light comfortable shirt, that looks good and is also very, very durable! I've had mine for a year or so and its just as strong as the day I bought it! this shirt is very light too, reducing the sweat produced. overall it's the best work shirt on the market! These shirts are great looking for a professional appearance. You'll look great talking with customers in any blue collar environment. Tough fabric but still soft and comfortable. These Wrangler shirts with the matching Riggs pants give me confidence in talking with prospective customers. Dressed with Riggs people know your not a joker but a professional tradesman. Puts people at ease as they see a well dressed person and not a rag dressed slob. Highly recommended!! I purchased this product because I needed some heavy workshirts and I really didn't want to pay a fortune for Carhartt or Dickies. I wanted 100% cotton, a few colors to choose from and a well made, quality shirt from a reputable source. I like that the Wrangler shirt is rugged and heavy, but it still feels soft so you don't feel like you're wearing a pair of Toughskins back when you were six years old. I would recommend the product for anyone looking for a nice, durable work shirt especially for the price! Wrangler Riggs Shirts: Men's Khaki 3W501 KH Cotton Twill Long Sleeve Work Shirt is being added to your cart.